The simple toasts with goat cheese goes well as an addition to assorted small, young salad leaves. 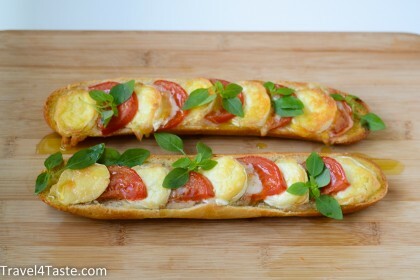 Here I made them with tomatoes, basil and garlic olive oil. You put it in the oven to make the cheese melt and toast the bread a little bit. Very simple and full of taste! 1. 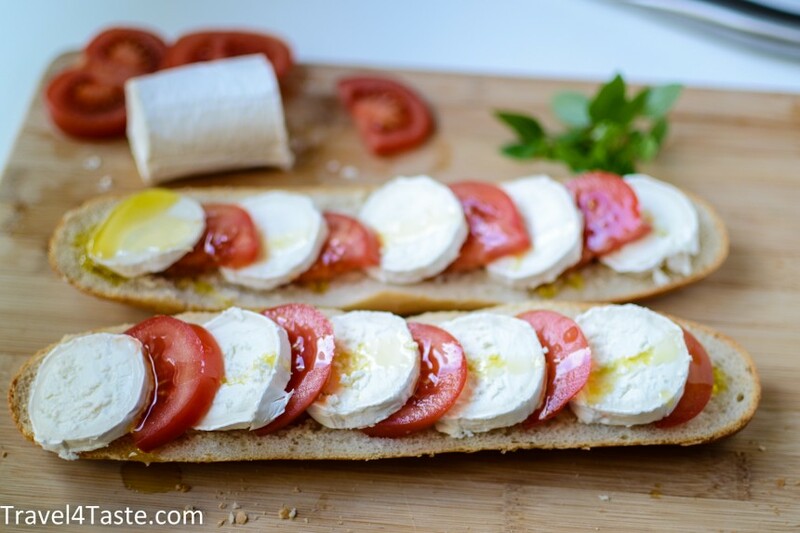 Slice goat cheese, tomatoes and bread. 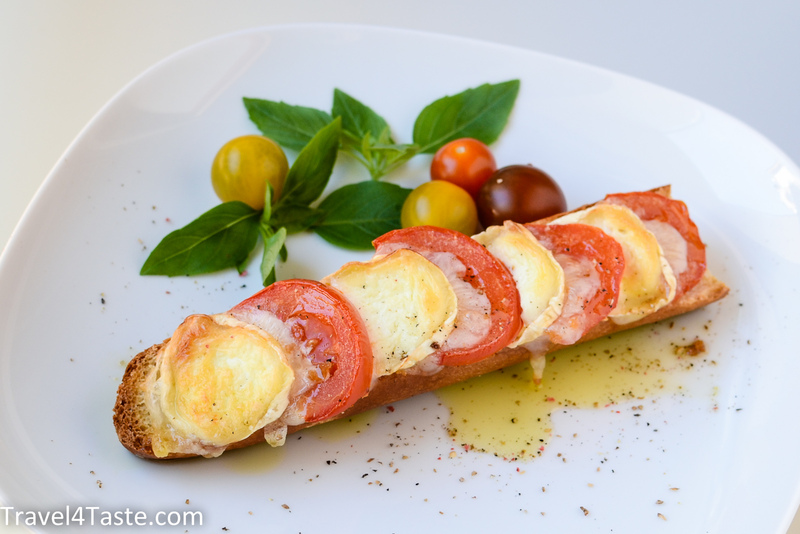 Put cheese and tomatoes on the bread and sprinkle with the garlic olive oil. 3. For me 15 min at 180′C was just enough. Cheese should melt a little bit and get slightly brownish. Add some basil leaves. You can also spice it with Herbes de Provence, an Italian seasoning or just pepper! 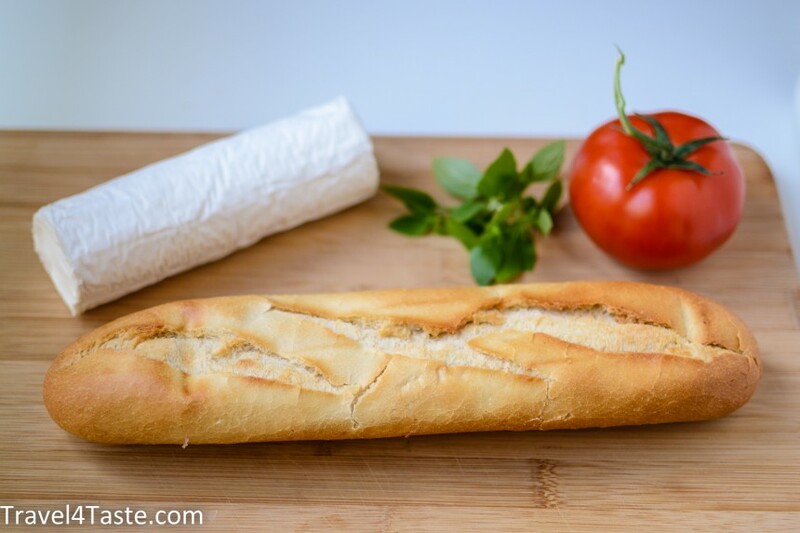 This entry was posted in Breakfast, Cheese, Dinner, France, Italy, Salad, Salty Breakfast, Snack and tagged c. Bookmark the permalink. It’s like bruschetta gone wild! I love the use of goat cheese. Looks like the perfect snack! Yum! Those are really delicious! Crispy, cheesy and full of taste I also have to try Italian bruschetta one day!